I am still Selling in front of Edgecomb Potters and Starbucks on Commercial Street until October 21st. November Shows : SEA Art On The Hill Nov. 30- Dec. 2 Portland. 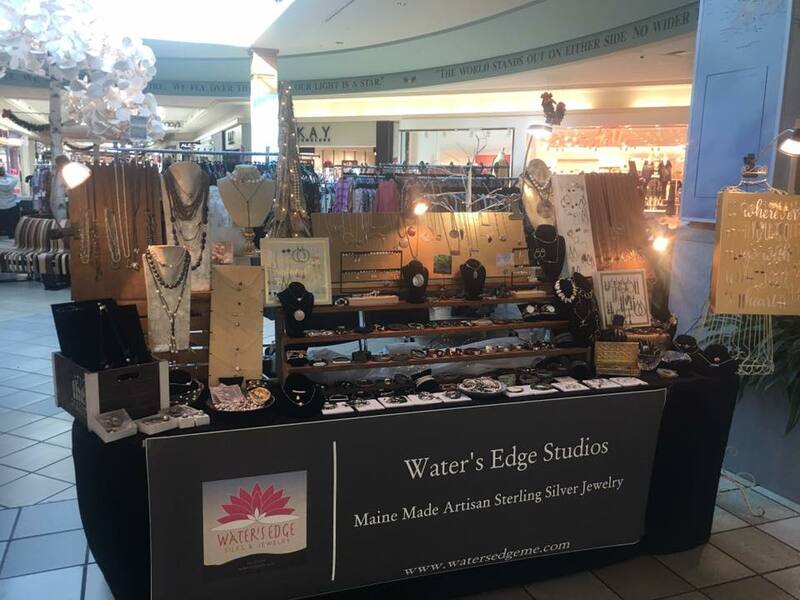 Bethel Chamber of Commerce Holiday Show Novembe rand at The Maine Mall Nov. 30 - Dec. 24 Friday through Sundays next to Starbuck's in Center Court. My Pearls of Love Line features all handknotted on my own German silks that I dye with natural dyes to compliment my pearls. Custom designs welcomed. My set up is in the MarketPlace court next to Starbucks! Look for me every week end Friday through Sunday beginning November 30th through December 24th! Sea Portland Art on the Hill, Nov. 30-Dec2. Portland Maine. I will keep you posted on other new shows!